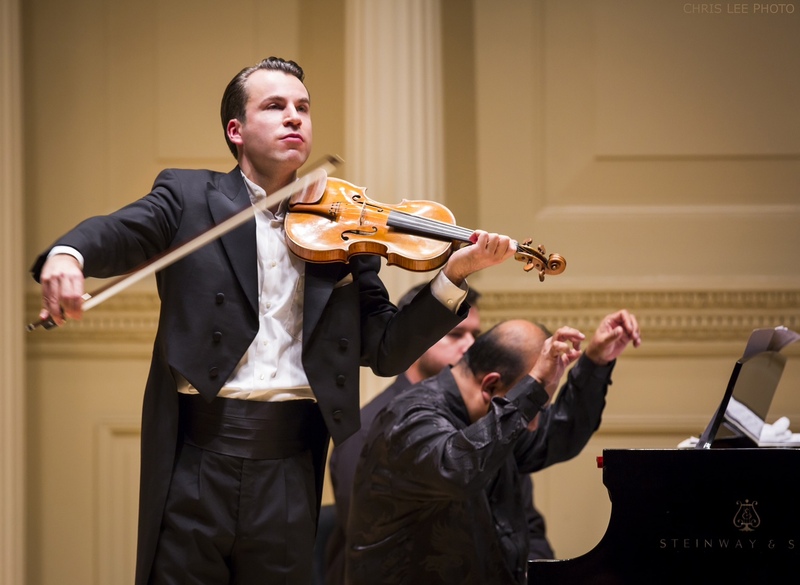 The audience was enraptured by the unbelievably pure sounds that emanated from his violin: the entrancing allegro, the sublime Mozartian adagio and the lively finale. An astounding performance of a Bach fugue, played as an encore, showed another facet of his immense talent. And while no one (not even Perlman) quite matches Heifetz’s high-tension pyrotechnics in the Presto, Röhn’s warmth, richness of tone and emotive shifts make as powerful a case for the Adagio and finale as you’re likely to hear. Daniel Röhn demonstrates maximum risk-taking and phenomenal control. His rich tone, powerful bowing and a true sense of theatre all come together for the grand finale of this firework display: Paganini's Nel cor più non mi sento and Waxman's Carmen Fantasy. Fascinating and...memorable. Then it doesn't matter that world-violinist Lisa Batiashvili is replaced on short notice by Daniel Röhn. He plays in the same league and delivers Prokofiev's Violin Concerto No.2 with solid technique and tonal luster.